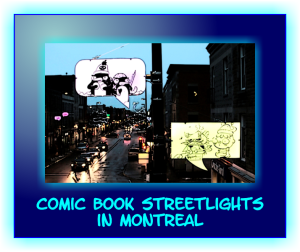 What a neat-o idea in Montreal! 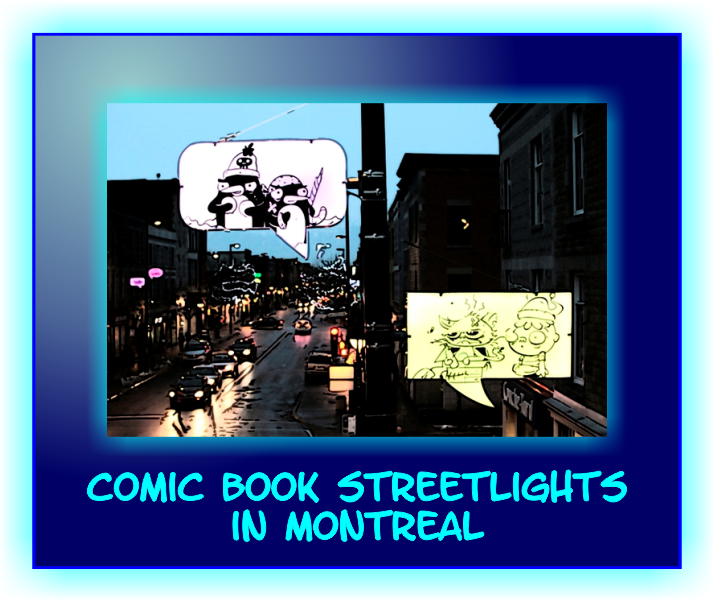 The street lights along Mount Royal Avenue have been turned into comic book streetlights. 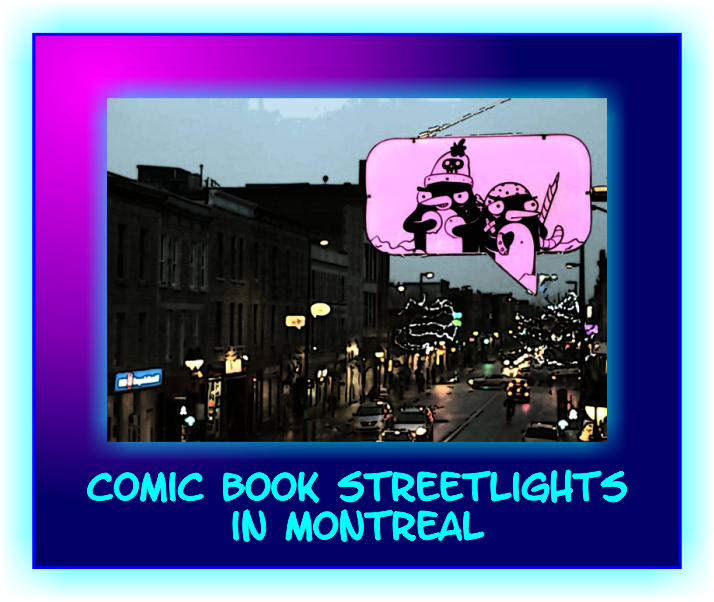 The street lamps are shaped like comic book speech balloons and feature fun and quirky cartoon characters. The lights of the street lamps change colors throughout the day and grow brighter with nightfall making them visible at any time. The project, created by the design firm “Turn Me On”, is called “Idée-O-Rama” and features over 70 speech bubble lamps. Each bubble features winter-themed characters and symbols to suggest the life and times of a busy city street. 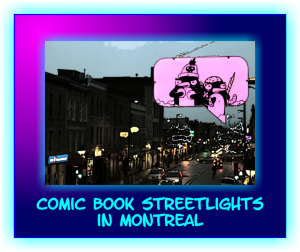 The lights are designed by artists Astro and Jean-François Poliquin. They will be on display until February 2014. 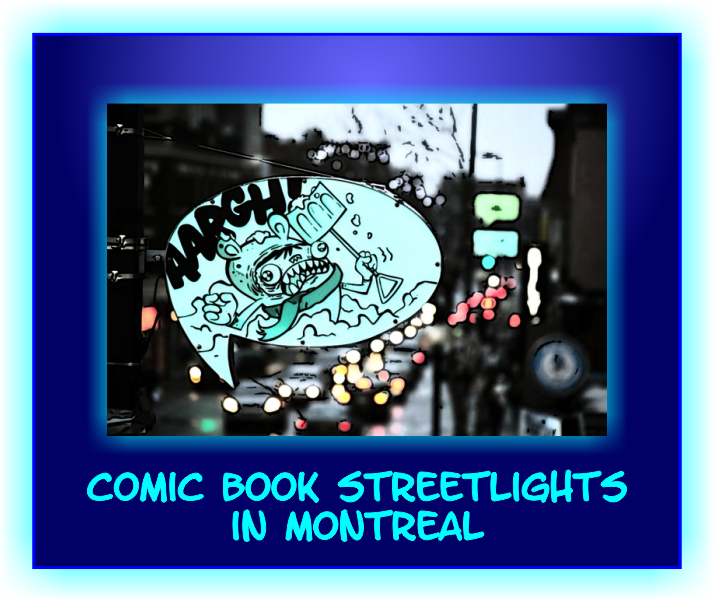 Montreal (spelled Montréal in French) is a city in the country of Canada. It is the largest city in the province of Quebec and the second-largest city in Canada. 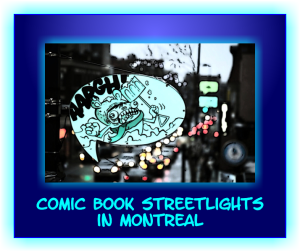 Montreal is also the second-largest French-speaking city in the world after Paris, the capital of France. Not to be confused with Paris, Texas (sometimes we crack ourselves up). Montreal is built on an island sitting in the Saint Lawrence River. More than three million people live in the Montreal region. At the center of Montreal is a mountain called Mount Royal. Most of the people who live in Montreal speak French, but English is commonly spoken as well as a second language. Yes, of course we do. But, as usual, the videos might not be available in your viewing area, or for your cool device or for various other reasons, such as copyright. Sorry, but it’s out of our control and the elves are working on it right now. 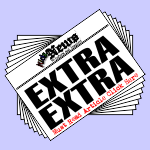 ← Prince Harry sets foot on The South Pole!